With the North Atlantic in the depths of winter, a series of low pressures has battered Ireland in late January. And whilst La Niña spoils the party in 'Snow Swept' Maui, the Irish are laughing all the way from the beach to the pub. Fortuitous wave hunters Finn Mullen (Severne) and Timo Mullen (Starboard / Severne) lucked into three days of mast high mayhem to notch up some all time Emerald Isle action. 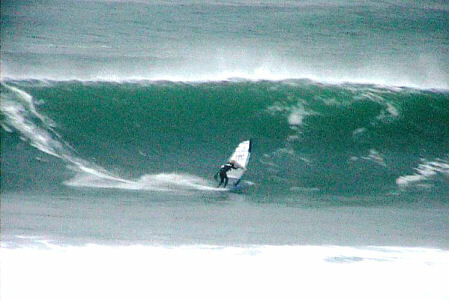 Although far from tropical, the heat was turned-up to the max as six metre swells boiled over onto the North West coast. And it’s not the first time this season either that the do-or-die duo have had rugged Donegal’s powerful surf to themselves.